Representative Joe Kennedy said his new economic push is a rebuke to what he describes as the ‘‘trickle-down, feed-the-top, if-you’re-struggling-try-harder narrative’’ of conservatives. BOSTON — US Representative Joe Kennedy is urging his fellow Democrats to adopt a new economic ideology — what he’s calling ‘‘moral capitalism’’ — as they prepare to take control of the House in January. Kennedy said the push is a rebuke to what he describes as the ‘‘trickle-down, feed-the-top, if-you’re-struggling-try-harder narrative’’ of conservatives. It’s a narrative he says President Donald Trump has sharpened to divide Americans, many of whom share similar economic worries despite holding different political views. Kennedy, without naming names, also chided the extremes on the liberal end of the political spectrum, which he said have failed to effectively counter Trump’s zero-sum game world view. While the 38-year-old grandson of former U.S. Attorney General Robert F. Kennedy is seen as a rising star in the party, Kennedy has said he has no plans to run for president in 2020. That didn’t keep him off the midterm campaign trail. Kennedy stumped for several Democratic candidates nationally, including Texas congressman Beto O’Rourke. Kennedy, first elected to Congress in 2012, said the country’s widening wealth gap dates to the 1960s and 70s when corporations cut wages, benefits and jobs in the face of global competition and new technology. He said the federal government responded by letting the private sector shift the economy away from workers and toward shareholders. He said while American capitalism has lifted millions out of poverty, its current version is broken — with some younger people eyeing socialism as a better alternative. 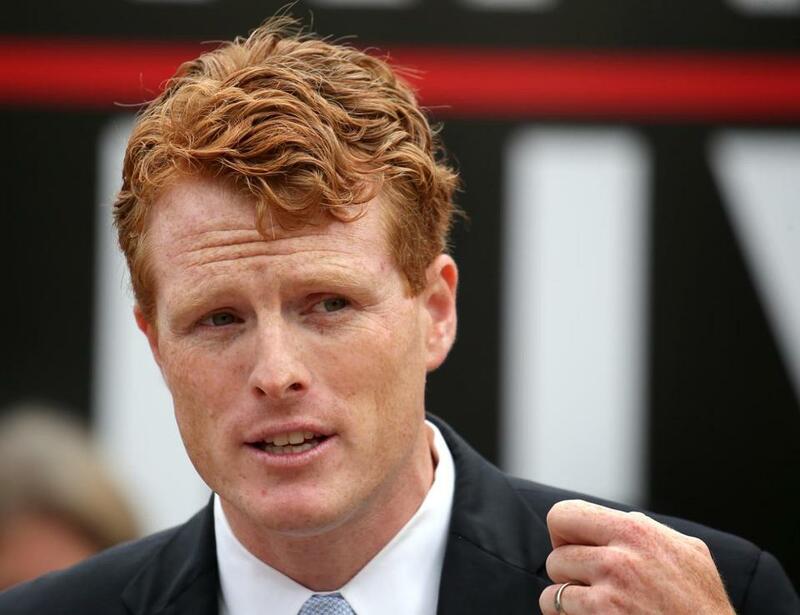 It’s not the first time that Kennedy has adopted a more moderate tone, reflecting his congressional district which stretches from the wealthy liberal Boston suburbs of Newton, Brookline and Wellesley to the blue collar communities of Taunton and Fall River. In the aftermath of Trump’s 2016 victory, when many Democrats were still reeling, Kennedy urged party leaders to learn from the loss by listening harder to the economic worries of Democratic voters who bolted the party. ‘‘We have to do a better job addressing the economic needs of working class and middle class voters,’’ Kennedy told the Associated Press at the time. Kennedy has also resisted calls by some House Democrats, including fellow Massachusetts U.S. Rep. Seth Moulton, to reject Nancy Pelosi as House Speaker in favor of new leadership. Kennedy nominated Pelosi for speaker at a private party caucus Wednesday.